Many attorneys now use PowerPoint in trial to preview, highlight, and sum up the evidence for their arguments and organize their presentations. Effective PowerPoints garner the attention of court personnel and jury members and enhance their overall presentation. However, ineffective PowerPoints can be confusing, difficult to read, or distract the audience from the presentation’s overall objective. Attorney and legal technology consultant Paul Unger argues that only with the proper skills and learning can a lawyer create an informative and engaging PowerPoint presentation that will be a useful tool in the courtroom. 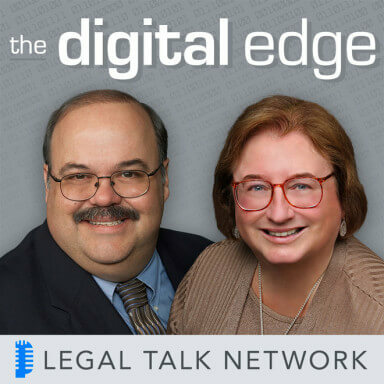 In this episode of The Digital Edge, Sharon Nelson and Jim Calloway interview Unger about the best practices in using PowerPoint in the courtroom. Unger emphasizes simplicity, professionalism, and making PowerPoint a tool that reinforces the content rather than providing it. According to research Unger has done, audiences who are distracted by bullet points and excess text are unlikely to remember much of the slide’s content or even the presenting lawyer’s main point. He recommends that the PowerPoint slides provide only headlines and pictures that are held together by the attorney’s narrative. Unger’s experience in PowerPoint and legal technology comes from being an attorney and founding principal of Affinity Consulting Group, a nationwide consulting company providing legal technology consulting, continuing legal education, and training. He specializes in trial presentation and litigation technology, document and case management, and paperless office strategies. To learn more, pick up a copy of his book, PowerPoint in One Hour for Lawyers, at the ABA bookstore.